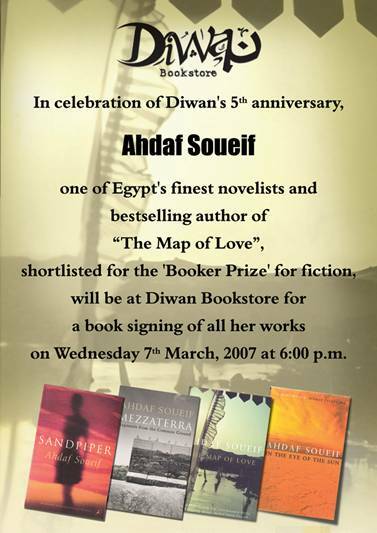 This entry was posted in Books, Cairo. Bookmark the permalink. I’m dying to go, can’t wait. They’re doig great stuff these days. I heard Robert Fisk is coming too and they have a huge event at the Opera House on the 17th and there will be a book signing Friday night. Yipeeee!